As the protesters grow angrier Holby tightens security, Fletch realises there may be darker forces at play with Theo’s disappearance. 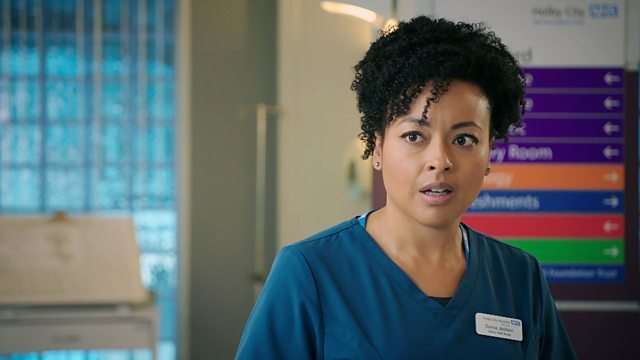 Chloe struggles to decide if staying at Holby is the right thing to do. Dom tries to persuade her, but is thrown off by a surprise visitor. A romantic evening doesn’t go as planned for Xavier and Donna when his mother arrives, putting Donna in a difficult position.